Make this a fair fight. You would never bet your liberty and your reputation on a round of golf against a professional. Why would you stake everything you've worked for by fighting criminal charges alone? This is not a fair fight. The government law enforcement professionals are formidable opponents. You need the professionals on your side- the Milwaukee Criminal Defense Professionals. 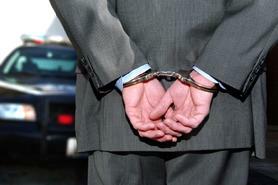 Only an experienced criminal defense lawyer can even the playing field for you. Call around, and see for yourself.